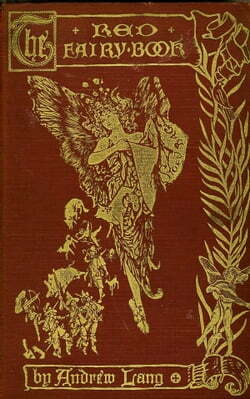 Andrew Lang's Fairy Books or Andrew Lang's "Coloured" Fairy Books constitute a twelve-book series of fairy tale collections. Although Andrew Lang did not collect the stories himself from the oral tradition, the extent of his sources, who had collected them originally (with the notable exception of... read more Madame d'Aulnoy), made them an immensely influential collection, especially as he used foreign-language sources, giving many of these tales their first appearance in English. As acknowledged in the prefaces, although Lang himself made most of the selections, his wife and other translators did a large portion of the translating and telling of the actual stories. The Red Fairy Book is the second in the series.